The AT (Accuracy Tactical) continues the legacy of the combat-proven AW308 and takes the AW to new levels. The standard model has a fixed stock with 24 inch, quick change, plain barrel, but there are options for color, folding stock, and barrels. 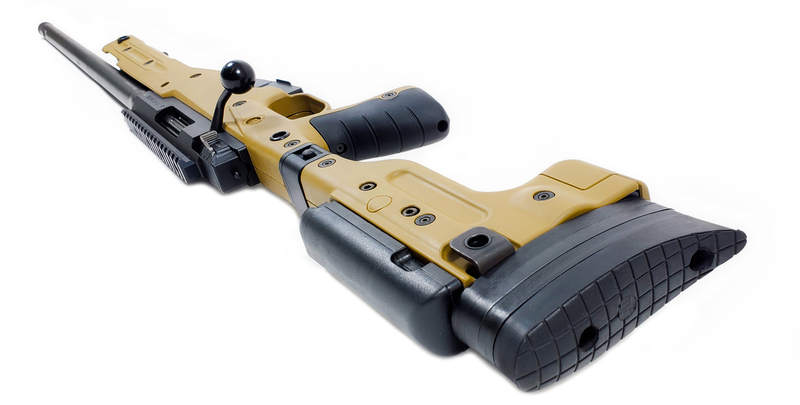 The AT is a culmination of ideas and requests from both the law enforcement community and civilian tactical shooters, resulting in a tactical rifle system that delivers leading-edge capability and unmatched value. The AT provides the end user with the latest in AI’s long line of battle-proven features and adheres to AI’s long-standing dedication to accuracy, reliability, ruggedness and quality. Quickloc match-grade 20” (.308) stainless steel barrel. 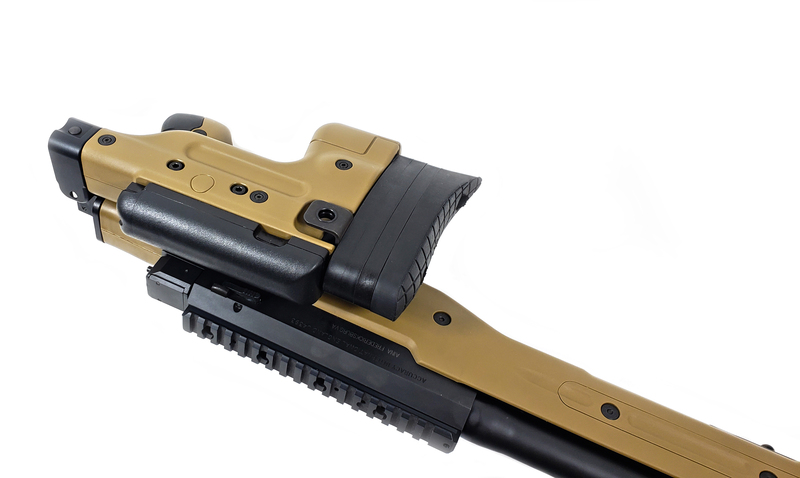 Fixed stock with adjustable cheek piece and length of pull. Available in black, green, dark earth, or pale brown stock-sides and black metalwork. 20”, 24” and Quickloc match-grade barrels, threaded for muzzle brakes and suppressors. Folding Stock upgrade (33" Length when folded). Click the button below to add the Accuracy International - AT, Dark Earth - Factory Barrel to your wish list.